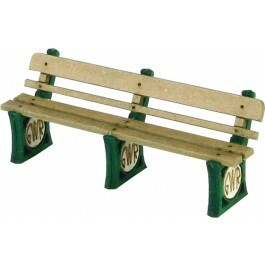 A set of four 00/H0 gauge platform seats with the Great Western Railway logo. Made with fine detailed laser-cut card components as sampled with the PO238 Wayside Station kit. The best eCommerce software by ShopFactory powers P1123. All-in one eCommerce and shopping cart software.